TAKEOVER target Poundland has posted a slump in annual profits after a "challenging but transformative" year as its suitor stepped up its pursuit with a 23 per cent stake in the business. South African retail group Steinhoff - which owns UK furniture firm Harveys and Bensons For Beds - revealed late on Wednesday that it had bought 61.2 million ordinary shares in the budget retailer and confirmed any potential offer would be made in cash. Its bid interest comes after a testing time for Poundland, which had seen its shares slump by a third in a year following tough trading and a difficult takeover of rival 99p Stores. Annual results laid bare the group's sales woes as underlying pre-tax profits fell 13.5 per cent to £37.8 million in the year to March 27. Bottom-line pre-tax profits crashed 83.7 per cent to £5.9 million, but this includes converted 99p Stores. 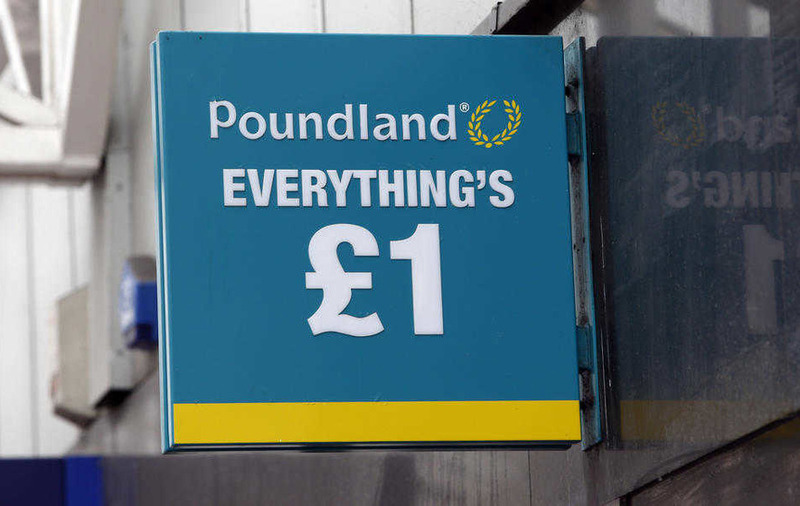 Poundland has advised shareholders to "take no action" following Steinhoff's announcement on Wednesday that it is considering a bid. The move marks the latest takeover attempt by Steinhoff, after it lost out in a battle with Sainsbury's to buy Argos owner Home Retail Group in March and was outbid for London-listed white goods retailer Darty. Steinhoff has until 5pm on July 13 to make a firm bid for Poundland or walk away under City takeover rules. Jim McCarthy, outgoing chief executive at Poundland, remained tight-lipped on the Steinhoff interest. He admitted the group had seen "difficult times", adding the 99p Stores were in a "very poor state" when it finally completed the £55 million takeover after a lengthy competition inquiry. But he assured the chain would "return to growth" under new boss Kevin O'Byrne, with the disruption of the 99p Stores takeover now behind it and all 235 stores converted. Mr McCarthy said: "After a period of significant change, including an unprecedented integration programme at pace, Poundland now has a unified estate of over 900 stores. "The retail environment remains challenging, but with our significantly enlarged store portfolio, greater scale and ability to focus fully on trading our stores, I believe we are well placed to make progress in the year ahead." Poundland saw like-for-like sales drop 3.9 per cent over the year, but the fall was steeper in the second half, at 4.9 per cent. It warned over profits in January after Christmas trading was hit by poor numbers of shoppers on the high street, and trading has remained under pressure since then. Mr McCarthy, 60, stuck by the group's forecast that the 99p Stores will add around £25 million of underlying earnings, with around two thirds of that expected in the current financial year. The results mark his last set as he prepares to handover to Mr O'Byrne on July 1 after 10 years at the helm, although he will remain with the group until his retirement at the firm's annual shareholder meeting in September. He put faith in Mr O'Byrne - the former boss of B&Q UK and Ireland - as an "energetic and talented" chief executive. 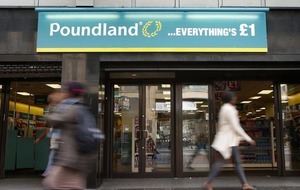 Shares in Poundland have surged by more than a quarter in the past few days, with speculation over a potential bid for Poundland mounting ahead of the Steinhoff announcement after it was revealed that a 15 per cent stake had been sold on Tuesday. Steinhoff appears determined to expand further across Europe, having tried and failed to gatecrash two deals in recent months. As well as seeking to muscle in on the Sainsbury's deal for Home Retail, it also barged in on French retailer Fnac's takeover of London-listed white goods retailer Darty, although it was ultimately out-bid. Steinhoff is backed by South African retail billionaire Christo Wiese, whose Brait investment group also owns controlling stakes in Virgin Active, New Look and food chain Iceland. Steinhoff also owns Conforama in France, as well as a number of retailers across Europe, Australasia and Africa.